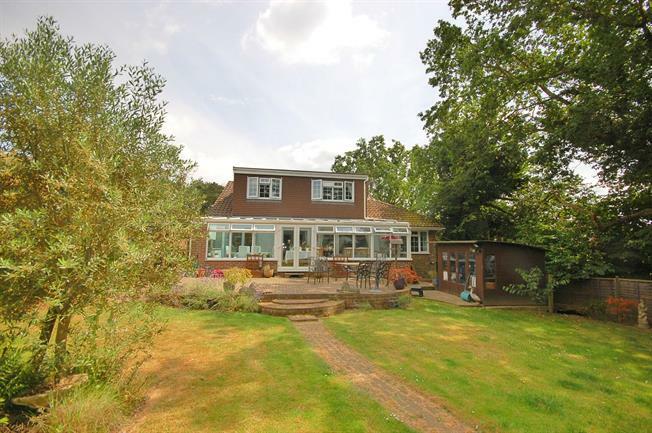 5 Bedroom Detached Bungalow For Sale in Uckfield for Offers in excess of £515,000. A stunning five bedroom detached family home situated in the popular village of Buxted. Entrance hall with downstairs WC, Dining room through to kitchen/diner. There are three downstairs bedrooms and family bathroom. Lounge through to conservatory overlooking the great sized rear garden. To the first floor there is master bedroom with ensuite and dressing room, second bedroom with ensuite and ample storage. The property offers a good size rear garden with summer house and storage facilities. Garage and off street parking.